Check out this shirt on the clickin moms website!! The link is listed in my Blogroll in the lower right hand corner of the screen. I love it! 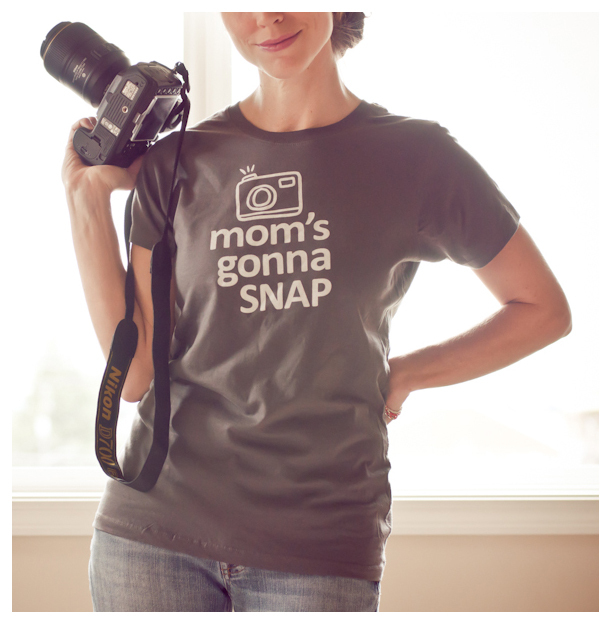 It says “Moms gonna SNAP” (and theres a camera on it). I just ordered it from Clickin Moms! I’m sure if my peanut was old enough to talk he would agree with statement on the shirt! I am constantly chasing him around with my camera. This is another great find on Clickin Moms!